It needs no introduction. Everyone recognises Kenneth Wolstenholme’s commentary in the last minutes of extra time in the 1966 World Cup Final. A historic moment and the quote is now as famous as the match itself. So I’m reflecting on a two week break from watching my beloved Norwich, which has not, like so many of us, been filled with joy. Traveling away to two away games to see my team crushed defensively and making schoolboy errors was frustrating but I’m not going to dwell on it. Time to move on. As it transpired, two wins and we’re still top of Group F but we really don’t look like we’re about to set the world alight, let alone hold aloft any trophies akin to 1966! I wasn’t born back then so my first real memory of a World Cup was Italia 1990. Having just started working and discovering my love of football, I took my portable TV into the salon and booked my breaks around the games, opening the windows and listening to the atmosphere from the local pub. It was electric!! Houses were dressed in the St George’s cross, cars had window flags and bumper stickers, and no dragon would dare to enter the territory of the English. Some of my friends were Leeds fans, others West Ham and there was even one of “that lot” but suddenly, and for once, the rivalry was put aside. We all supported the same team; cheering, singing together of our joint love for Gazza, Lineker and Platt. Bobby Robson’s men had done us proud and got us to the semi-final and the country was at fever pitch. The semi was against West Germany and we all know how that ended… from cheers to tears, Pearce and Waddle missing penalties and Gazza on his knees! Proper emotion and passion. Back then I had always loosely followed the fortunes of NCFC but was more involved in local football. Yet it was this England squad whetted my appetite for the pro game and was one of the reasons that led to me becoming a season ticket holder at Carrow Road. Of course, England haven’t emulated anything like this since, neither has anyone matched the rap of John Barnes (thank goodness) and as I watched the recent games I was shocked at the low attendances at Wembley, the low expectation of football fans of our national team and the complete non-plussed reaction to the wins. Then I asked myself the question – club or country? For many, club is an allegiance passed down through the generations; something shared with family and friends which becomes an integral part of life. You buy into the values, not to mention the merchandise! Many go every week to every single game, some traveling many miles to support their team, and I wonder, if asked, how many would rather see us gain promotion back to the Premier League than see England win the World Cup? Is it still an honour for players to play for their country? Is there still the desire from highly paid players? Clearly club football has overtaken international football given the money involved at domestic level, which is astronomical, and perhaps the Champions League is deemed more attractive than donning the three lions. And there’s the added complication of managers not wanting to risk their ‘star’ players. I mean, can you imagine hearing that Wes had been injured while on RoI duty and was out for the rest of the season! Also do we realistically feel England have so little hope of winning the World Cup again we resign ourselves to failure? However the loyalty to your club can be tested by hopeless defeats, yet be so intoxicating in victory. As a fan of our team we know it can bring joy and despair, and I’ve shared many moments with those around me; a hug with a stranger or a shared tear. Through the years we’ve all been on a journey together, sharing the highs and lows. As opposed to dipping in and out as we do with England. We are in it for the long haul; it’s a way of life; a tradition. So whilst I am patriotic and I have been lucky enough to see England play (v Andorra 2009 Wembley – 6-0) and I’m happy when they win, it goes without saying I am a much much happier person when Norwich win. There is nothing better than seeing my club put the ball in the back of the net. And therefore I chose ‘club’! A great article Anita hugely evocative. As someone just a few years older my earliest memories are of Argentina ’78 (naively cheering on Scotland in the absence of England) and Spain ’82 onwards. It’s a sad indictment of modern football that I simply yearn for the return of club football at each International break and cannot be excited by England these days. An excellent read and a great way to start a discussion. I am old enough to remember the 66 world cup and was lucky enought to have got to a couple of games via school that organised tickets but not for the england games as they were all sold out. I can also remember going to Wembley during 1970 to 72 to see the home championship games against Scotland, Wales and Northern Ireland these were great games with very partisan crowds. My last live international was 1972 v Germany and England lost. No matter who England are playing I will try and watch it on TV and will alway be very disappointed if we lose but that disappointment will only last a couple of hours and I never get angry about it to me they are games to enjoy and hope that England we quality for what ever World or European cup it is. As for city the feelings last when we lose for days sometimes till the next game and it doesn’t help having a Man United mad wife and 3 sons that support Spurs rubbishing the results when we lose, so for me it is club befor country. I always want England to win. But what sets the blood coursing? 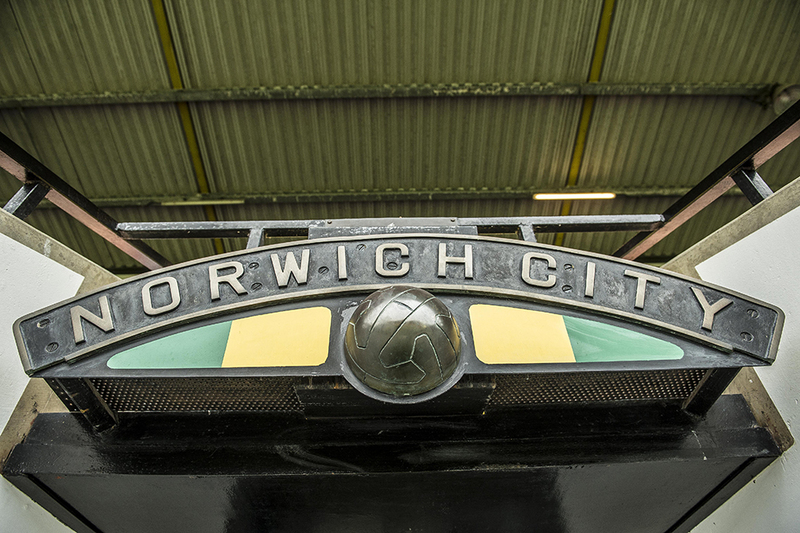 That’s Norwich City. Good article – just a point re: low attendances. England have the biggest international attendances in qualifiers in world football! … after the Democratic Republic of Congo according to the commentators of the Slovakia game (or was it the commentators of the Malta game?). I would not go out of my way to watch an England game on tv anymore,unlike years ago.What done it for me was when Cappello (spelling? )was brought in as manager.I think the passion went then from me as I always wanted an English manager.Now we have one I want Southgate to succeed but he has a very difficult job as most of the players he picks would rather be somewhere else and only look good alongside their foreign club mates.Most of them passionless too, from what I saw from the last game only Henderson,Cahill and Hart showed 1oo% commitment.Players like Ali are only playing for themselves,not the team and that’s the problem. Have others noted the ‘career in freefall’, that of one, Robert Snodgrass – he, once of this parish? Something has gone disastrously wrong there! That’s serious cash involved! It’s the manner of his fall from grace, that interests me – nothing more, BTW. I suspect that he has never fully recovered from serious injury – many don’t.